Cinderella’s Tom Keifer is releasing his first ever solo album later this year. I for one are extremely excited by the prospect – it has been way too long since any new material from the Cinderella camp has been released. Alice In Chains have started the New Year with the first release from their forthcoming album. Jason Newsted is the longest-serving bassist with Metallica – from 1986 before 1987’s the $5.98 EP until 2001 resigning just before the band entered the studio to record what would become St. Anger. In addition to Metallica, he was also previously a member of Voivod, Flotsam & Jetsam and Echobrain amongst others before taking a seemingly indefinite break. Last month he announced his return to the music scene. Apparently his desire to return to the music stage was ignited by his appearances performing with Metallica at their 30th Anniversary shows in late 2011. 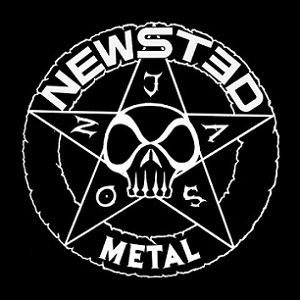 It is reported the reaction of fans and the buzz he felt caused him to go on to form the band Newsted (or stylistically NEWST3D) with Jesus Mendez Jr. and Jesse Farnsworth on drums and guitar. A few days ago the band released their first music, the Metal EP. Following on from November’s audio release of the first single from the forthcoming Biffy Clyro album ‘Opposites’, the band have now produced a video for ‘Black Chandelier’. The album is out next month, and I for one cannot wait. Click below to view the video now. Following the album track release of ‘Stingin’ Belle’ earlier in the year the first single proper got played on BBC Radio 1 last night. Starting with a ‘drip-drip, drip-drip’ vocal the song is instantly recognisable as Biffy Clyro. Once Simon Neil’s vocal starts you are back in a familiar territory as if they’ve never been away. Understated this track slowly builds to a chorus which I guarantee you’ll be singing along to after only a few listens. Around about the three-minute mark we are treated to a lovely little “rock out” interlude before the melody of the track returns for the big finish. Based on this track, with a sold out UK tour already scheduled for May next year, and the album Opposites coming out in January it is very likely that 2013 is going to be the biggest year yet for this Scottish band. Today they’ve posted ‘Black Chandelier’ to their official YouTube channel. Click below to listen to the single from there now. The Afterman is the next track to be taken from the recent album The Afterman : Ascension. After the release of ‘Domino the Destitute’ in August this track (and album) continues Claudio Sanchez’ Amory Wars storyline. You can watch the video by clicking below. Limp Bizkit have a new album out next January and ‘City of Angels’ is the first single from it. It’s sounding mighty different; the new hip-hop record label clearly having an influence. Have a listen and let us know what you think. On first listen, I kinda like it!